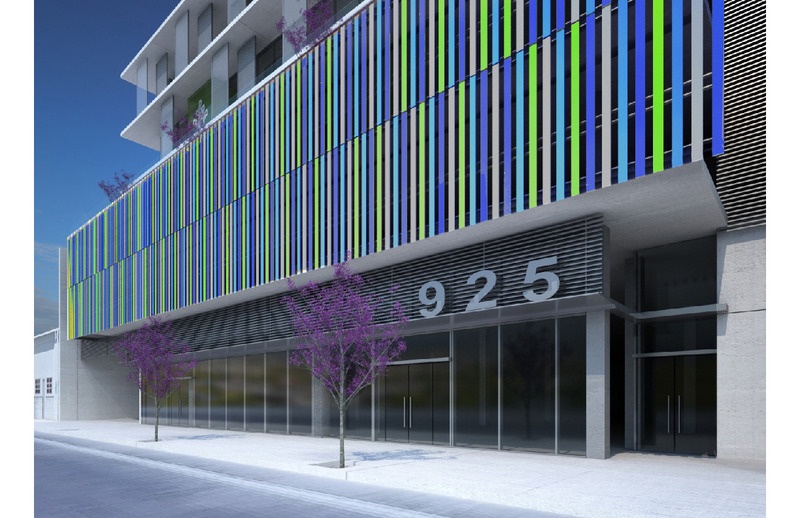 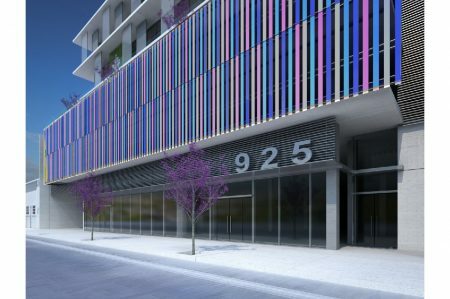 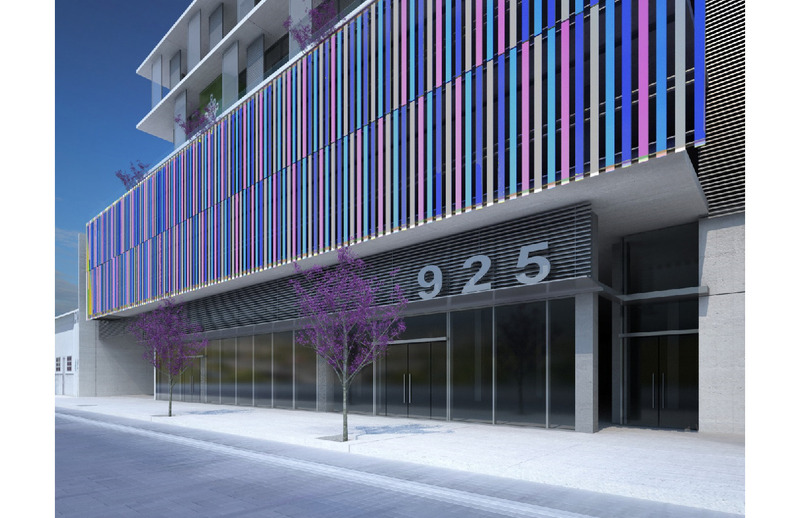 925 N La Brea is a six-story mixed-use urban infill development in the Hollywood Media District, and is one of several projects north of Willoughby referred to as “the La Brea Gateway.” In proximity to local transit lines, these projects promote “people-scaled,” walkable communities and promise to encourage the revitalization of the motion picture industry in the district. 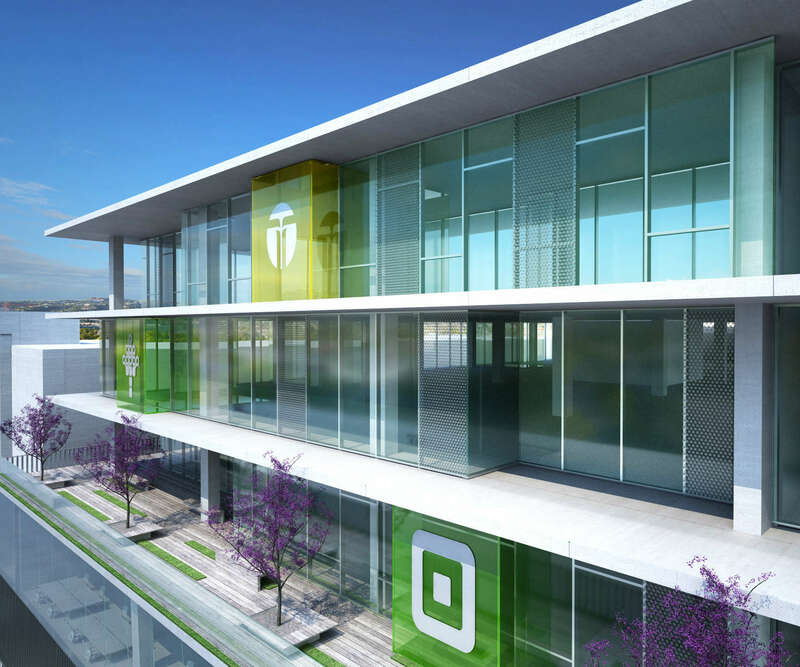 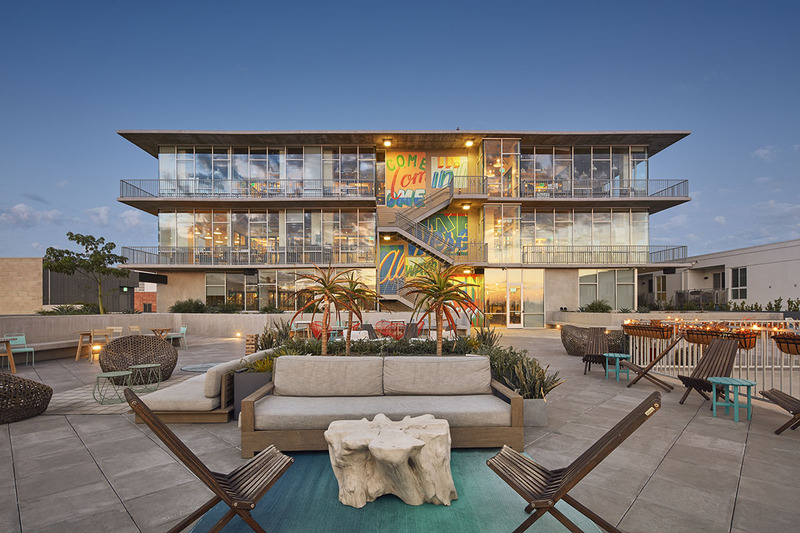 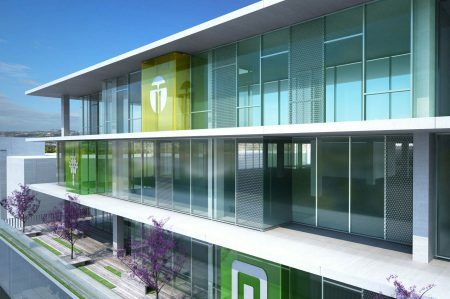 With a total building height of 80 feet on six stories, the project features nearly 50,000 square feet of creative office space on its upper three floors. 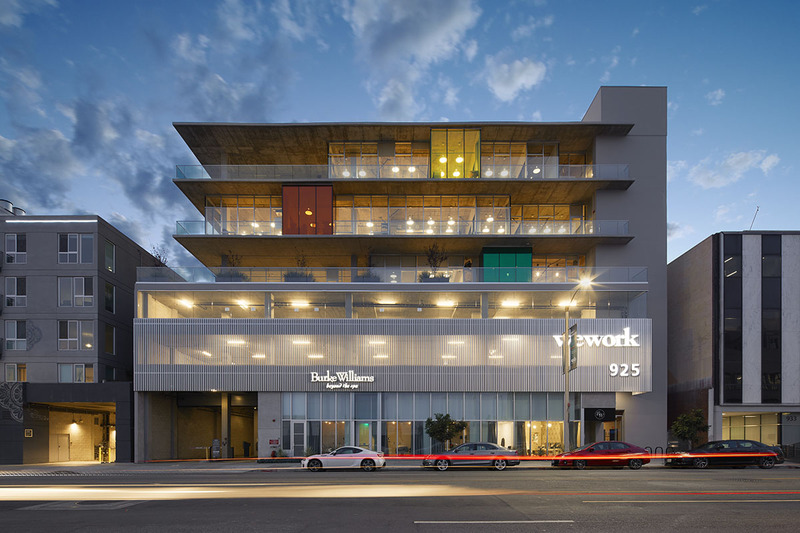 A slight increase in FAR allows for larger floor plates to cater to the collaborative office environment needed by the Hollywood creative community. 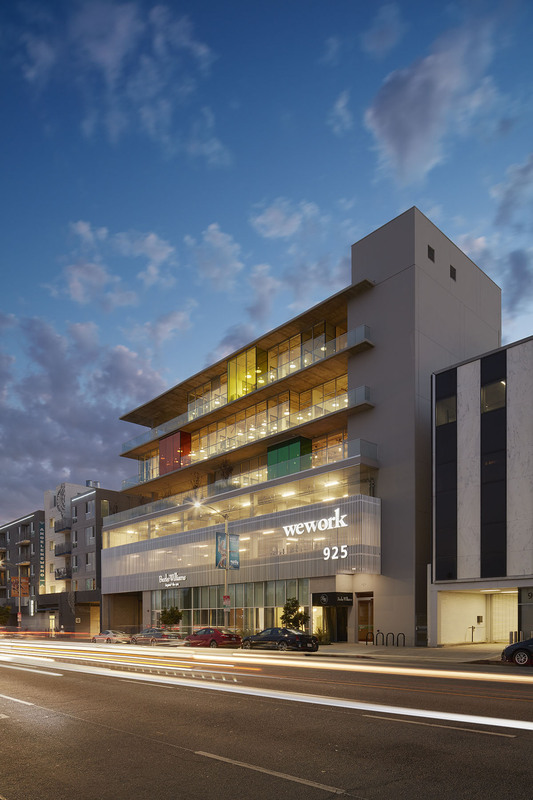 The structure’s bottom floor is devoted to 15,000 square feet of street-fronting commercial space with 15-foot ceilings. 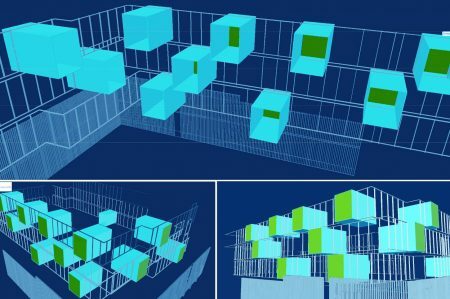 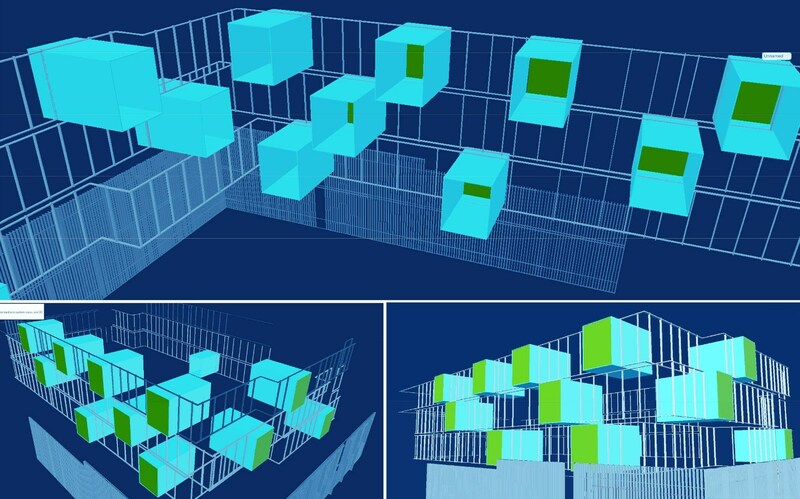 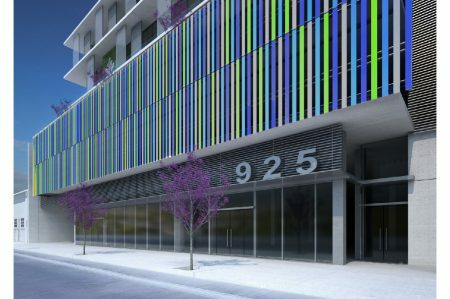 Above the commercial space, are two levels of parking containing nearly 175 spaces, exceeding city requirements by more than 13%. 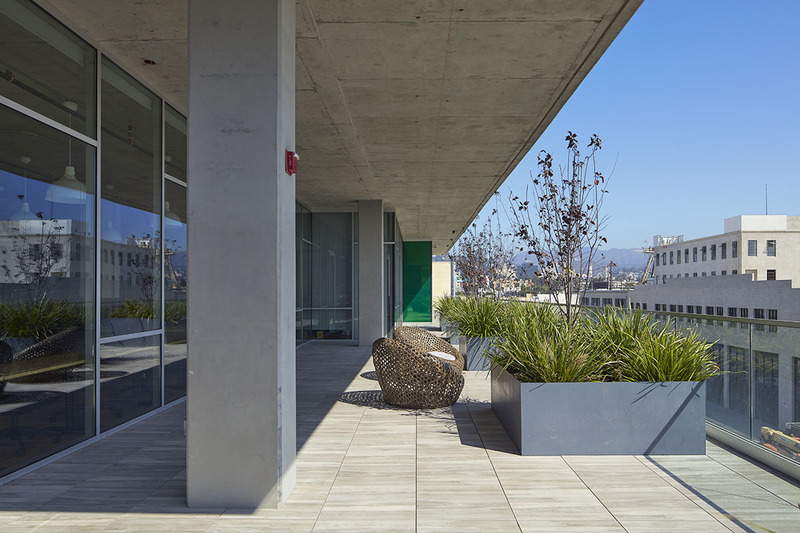 On the fourth floor podium over the parking, a 4,800 square foot outdoor terrace landscaped with drought tolerant plantings provide occupants with outdoor amenities. 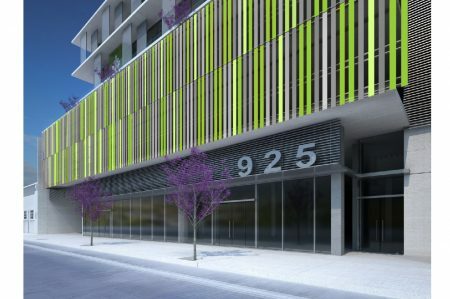 Vertical architectural louvers along the street-side façade screen the parking levels and emphasize the vertical elements of the complex. 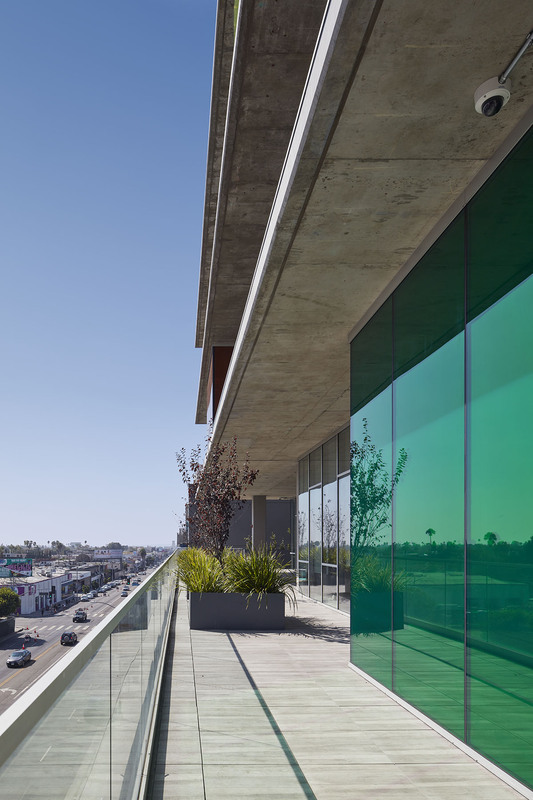 The careful orchestration of stacked, slender concrete slabs in-filled with alternating clear and colored glazing provides access to 360-degree panoramic views of the city from glass balconies on the perimeter. 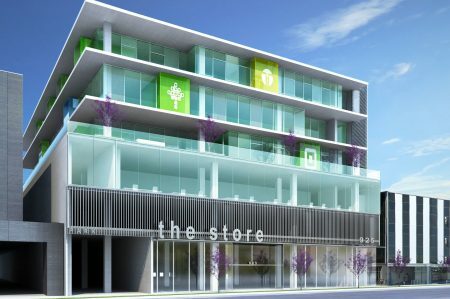 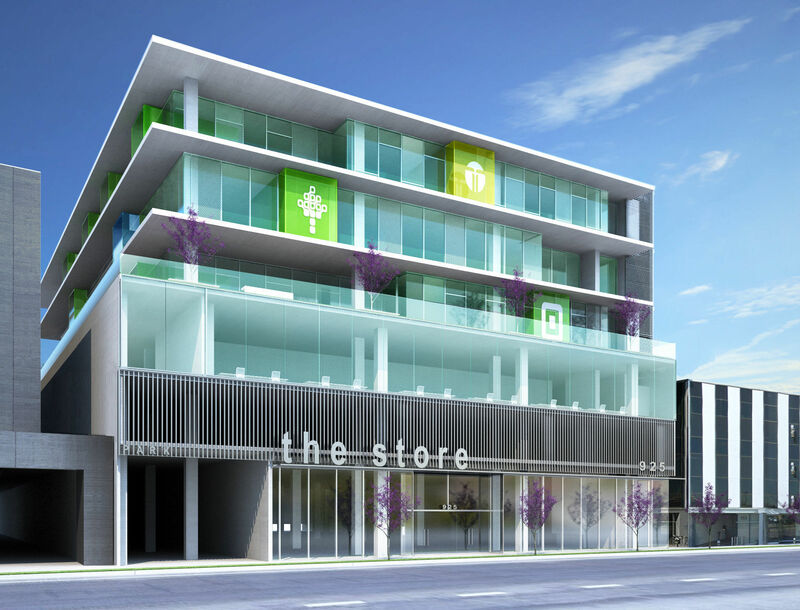 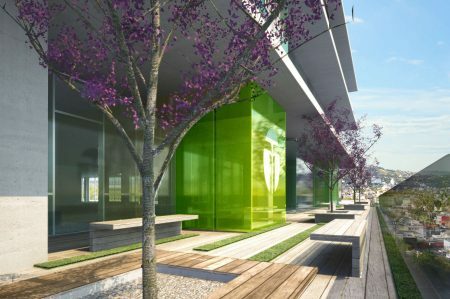 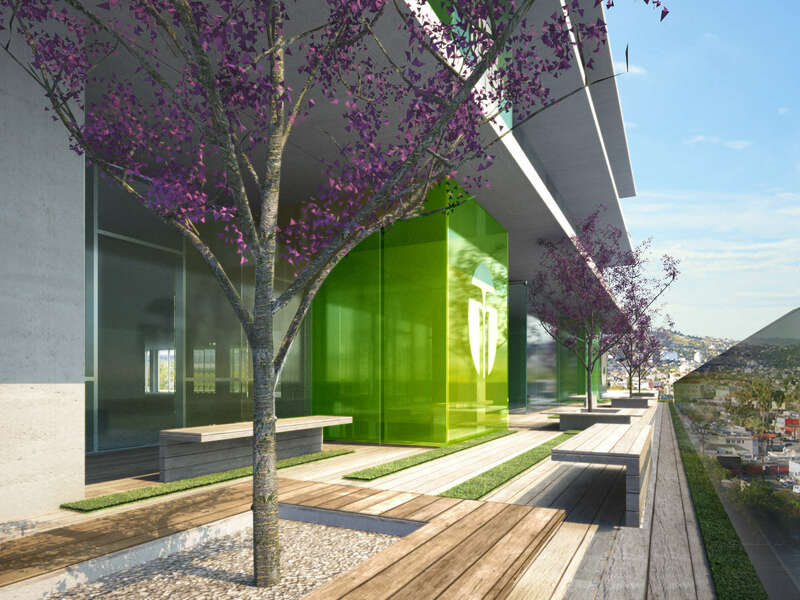 The project’s clean modern architectural detailing presents a timeless canvas that invites branding by a creative tenant and retail amenities, contributing to the revitalization of the La Brea corridor.